Alex "Machine" Richardson and Frankie Ward will appear on the League of Legends European Championship broadcast this weekend, according to a Thursday announcement by caster Trevory "Quickshot" Henry. The two personalities are best known for their work in ​Counter-Strike: Global Offensive, with Machine having hosted the recently-completed IEM Katowice Major, and Ward having interviewed players from the main stage at the same event. I'm so excited to announce that this weekends #lec guests will feature @MACHINEgg hosting and @getfrank interviewing!! Machine began his esports career casting Call of Duty, but has spent most of the last three years hosting, casting and and analyzing CS:GO, with occasional dalliances in Dota 2. Ward's first esports experience took her to the ​League of Legends World Championship in 2015, which she covered for the BBC. Since then, she's interviewed players at several CS:GO events. This will be the first time either personality appears on an LEC broadcast. 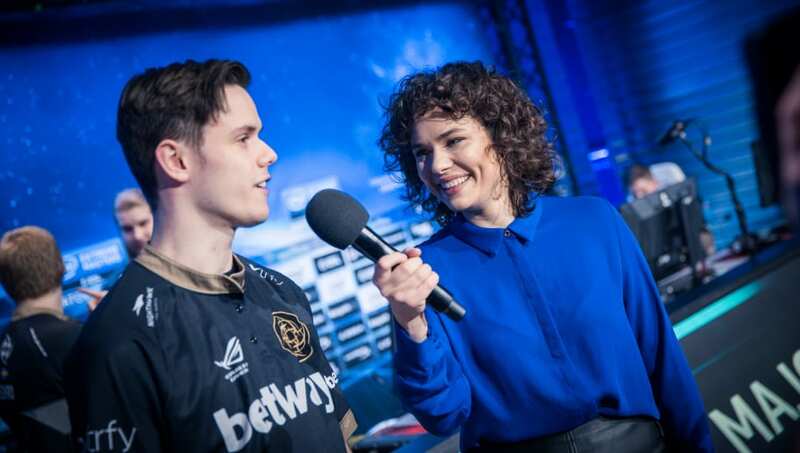 Eefje "Sjokz" Depoortere and Laure "Bulii" Valée, who usually host and interview for the LEC, will return to their positions in future weeks.